Tonight, some of our founding leaders sat down at the Jewish Community Center of San Francisco with local Jewish community leadership to address recent press coverage and concerns about anti-Semitism in the Women’s March movement. A consistent and painful theme was that people feel unwelcome - both of which stand in direct contrast to what we are working for as an organization. When Rabbi Noa Kushner mentioned that a family at The Kitchen doesn’t feel safe sending their kids out in kippot, we knew we owe a frank and clear assertion of the values of Women’s March San Francisco. Ensuring your families feel safe in the space and movement we’re building is table stakes, we want to you to know you’re a treasured and essential part of the coalition. We exist because in the aftermath of the 2016 election, we saw too clearly that it was more important than ever to unify around principles of democracy and justice. This letter is a heartfelt invitation and a commitment. We invite you to join us and want to assure you that you are very much welcome at the march and rally on January 19th and as an essential part of what we are building in San Francisco. The space - created by our ally and one of this year’s speakers Marci Glazer (CEO of the JCCSF) - allowed us to clearly hear the deep concerns many in the Jewish community feel about supporting and attending this year’s march. We were also grateful to be granted an opportunity to explain the organizational structure of Women’s March San Francisco as it relates to the national movement. 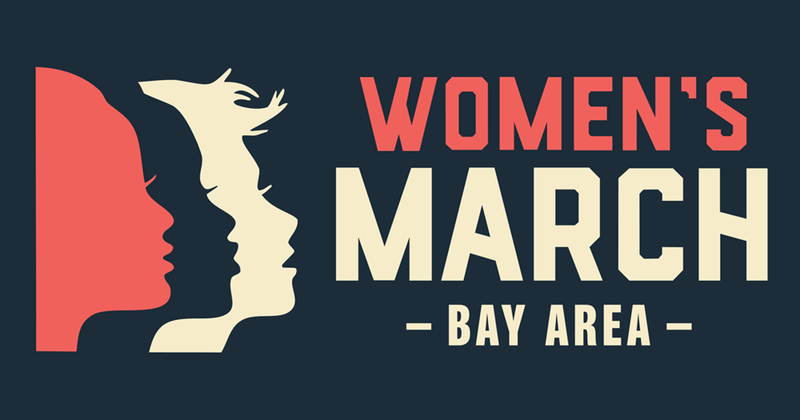 Women’s March San Francisco is an autonomous grassroots organization. We arose alongside Women’s March, Inc. (the organizers of the march in Washington), but are - and always have been - run by our own leadership. We develop our own programming and raise our own funds. We unite with Women’s Marches around the world under Unity Principles which we learned tonight align incredibly closely with the Jewish Community Relations Council (JCRC)’s core values and community consensus policy statements on racial justice, economic justice, reproductive rights, and immigration. We’ve worked hard to make an organizing body that represents the diversity of San Francisco and to reflect that commitment from our platform. There is no place in our movement for oppression or intolerance. We recognize that antiSemitism is oppression. If Jewish people or any marginalized community doesn’t feel welcome at our events, we have failed as leaders. Women’s March San Francisco wants everyone to feel safe and secure at the event. We recognize the Jewish community’s specific sensitivity to these issues. We have dozens of trained Peace Ambassadors who’ll be placed throughout and around the rally crowd and along the march route. They are in contact with us and with SFPD and other security forces through the duration of the event. If ever you feel unsafe or require intervention, please approach a volunteer in a neon yellow vest bearing the WMSF logo for assistance. We thank Marci for making the space and thank Abby Porth of JCRC; Amy Berler, Jewish Women’s Fund; Danielle Foreman, Koret Foundation; Rabbi Noa Kushner; and Susan Lowenberg, past board chair of the JCCSF for taking time out to reinforce an essential bridge. We are San Francisco and San Francisco is a beacon to the rest of the world; we hope our ability to unite as a movement and to work together through challenging times can be a model for the nation.